GLENN PAYNE was one of the very first to walk through the doors of Alchemy Cryotherapy Centre in South Yarra. 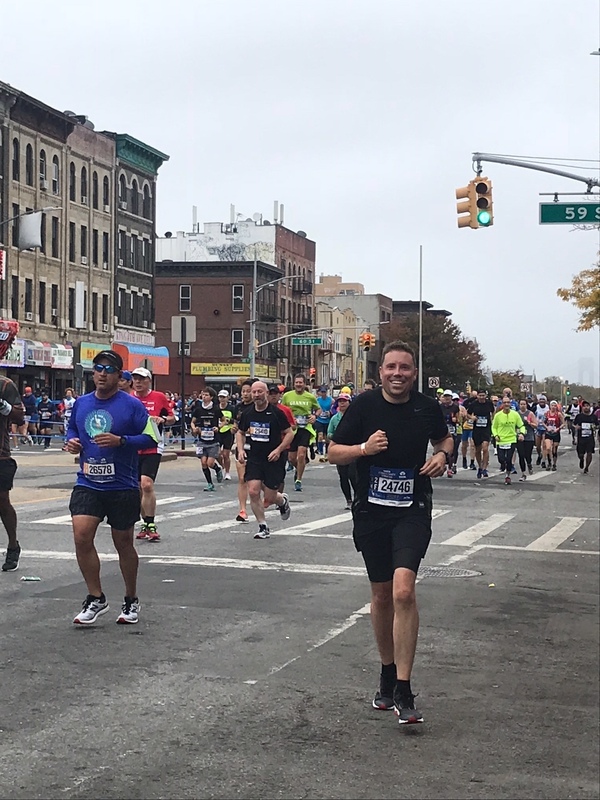 Find out how Whole Body Cryotherapy helped him cross the NYC Marathon finish line 3 months after he broke his coccyx. 1. CONGRATULATIONS on running the 2017 New York City Marathon! What inspired you to run? The NYC Marathon has been a bucket list run for me since I first started running 10+ years ago. Plus, any excuse to go back to New York! 2. What did the application process involve? I had previously entered the ballot for the race for 5 consecutive years and was fortunate to get in for the 2017 event! – There were 51,000 competitors in total and the 2017 NYC Marathon had a record number of ballot entries so it was like winning the lottery, literally! 3. How did you prepare your body for the NYC marathon? 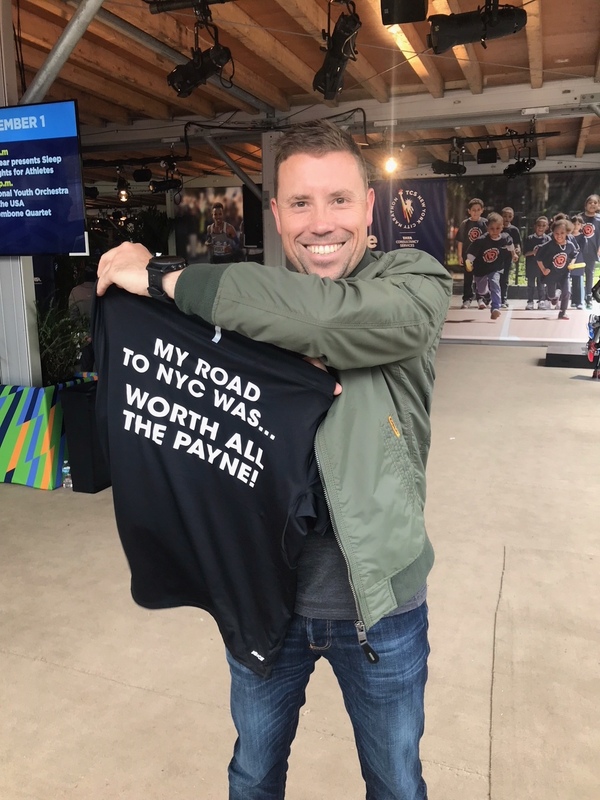 Prior to the NYC marathon I’d only done one other Marathon and given how long it had taken me to get into this race I paid for a coach and it was worth every cent! I was listening to a podcast that had Tony Robbins on it talking about whole body cryotherapy, was interested to see who in Melbourne was doing it and discovered Alchemy was due to open within the next week! In fact I was your 2nd person through the doors on opening morning. 5. How did Whole Body Cryo help you to prepare for the NYC marathon? Without doubt it was the best type of recovery I did – in the lead up to leaving for NY I think I came in 8 days in a row. I had also had a set back 3 months before the marathon, I broke my coccyx….not great but after some brief time of and then water running I used whole body cryo to reduce the inflammation and speed up the recovery process. I think without this I wouldn’t have transitioned back into my high volume of training. 6. How often did you Cryo in the lead up to the NYC marathon? Prior to flying out to NY I think I was up to 8 days in a row. However, in a more typical week I would probably have gone 2 times a week – mostly after a long run or speed session. Arms up and walk in circles!... It’ll enhance the amount of exposure your body receives to the cryo. I almost always ended up at Bens Supernatural just a short walk from Alchemy. 11. What kept you motivated during your training? I knew I was lucky to both win a place in the ballot and have the means and opportunity to go to NY for the race so that was my main motivation. That and the ‘constructive criticism’ of my coach. 12. What are your top tips for someone preparing for their first marathon? Get a coach to hold you accountable to your training program! Also don’t skip strength & conditioning work. 13. What’s your best advice for race day? Google race reports of the previous year/s and see what the course involves, is it hilly etc, and have a plan as to how you want to pace yourself through the race. Even if you don’t stick to the plan on the day you’ll feel a lot more confident the night before and at the start if you are feeling prepared and have a plan. 14. How did you fuel your body during the race? 15. Favourite part of running your first NYC marathon? Firstly, it is literally a 42km block party! - There are 2 million spectators and it was awesome and the support from the crowd was almost a little overwhelming. Secondly, my partner Elle was the number one supporter! She made such an amazing effort to plan when and where she should be to see me and was running all over the 5 boroughs to see me. Seeing her at different points in the race gave me such a boost! 16. Life lesson(s) you have gained from the experience? Set backs can happen (i.e. busting your coccyx 3 months before a marathon) and it’s up to you how you choose to react to it. 17. Amazing! What’s next for you? Feeling inspired to add the NYC Marathon to your bucket list? Learn more HERE.